At Least 10 Years More Experience Than Any Local Competitor! 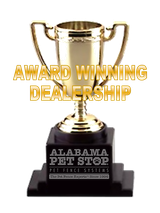 Pet Stop of Alabama provides the Birmingham, Tuscaloosa, Anniston, & Gadsden areas with professional, custom installations of the most advanced and effective electronic dog fence systems available today. We've supplied central & north Alabama with the very best in pet fencing since 1994, and our dog fence products and training methods have proven successful for over 11,000 pets. Our mission is to provide you with the world's best pet containment and pet safety products available, with the best installation, training and service after the sale. We are a highly committed local, full time dog fence contractor. We know our business and our competition. As proud carriers of Pet Stop® brand pet containment systems, our objective is to provide you with convenience and peace of mind, while keeping your pets safe at home. 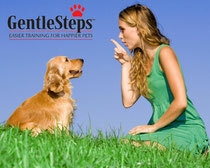 We use extremely effective and pet-friendly training techniques to achieve this goal. Also, be sure to ask about our great trade in pricing on Pet Safe®, Invisible Fence®, Dog Guard®, Contain a Pet®, and other brands of pet containment or hidden fencing. 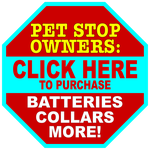 We are not associated with Invisible Fence®, but we offer batteries and dog fence collars compatible with Invisible Fencing® products and all other pet fence products for far less than dealer prices. We are Alabama's Pet Fence Experts™ and we are at your service! As the former founder and president of Invisible Fence® Company back in the mid-1970s, Pet Stop® President John Purtell has more executive experience in the pet containment industry than anyone else. His leadership has propelled Pet Stop® to the industry's pinnacle, with a growth rate never previously seen in pet containment. 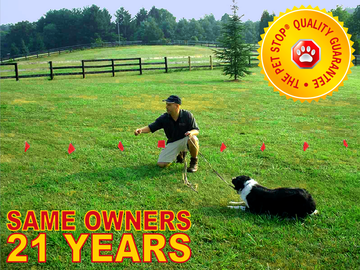 Former Invisible Fence® Chief Engineer Scott Touchton now holds the same position at Pet Stop. Paired with former Invisible Fence® IT Manager James Deery, they lead the Perimeter Technologies® team to bring you the the best quality products from the most experienced, fastest-growing pet containment company in the industry.